In this modern corporate world we are faced with a fierce competition to get a lucrative job. The best way to stand above the crowd and outsmart your fellows is through a professional resume that clearly markets you. No matter how qualified or educated you think you are, if you do not craft a competitive resume you might end up kissing goodbye to your beloved position. Equally, if your resume is not properly crafted, you may miss countless chances of grabbing that dream job you’d envisioned. From these concise statements you can understand that a resume is of paramount importance. As thus, you need to spend more time perfecting the resume. This article highlights the most important aspects for creating a resume for a job. We will also recommend the best cover letter service. Without further ado, let’s delve into the most important aspects of creating the best resume that can lend you a job. A purposeless resume is full of fluff and it looks unattractive to the busy hiring managers. Note that the hiring professionals are busy people, and they receive thousands of resumes per job application. That being said, they will seldom spend more time trying to figure out what you wrote on the resume. Instead, they will prefer the next candidate. Learn to customize your resume for every job application. A winning resume, should, among others, show the potential employer that you have the relevant skills, qualifications, experience, and job specific attributes. If you are confused you can always get a professional resume help. There are numerous misconceptions about the proper length of the resume. The truth is that there is no standard as to what length is the best. It all depends on how one is experienced and how many qualifications you have. However, using our common sense, a typical resume should be concise yet not excluding any important information. Make it as succinct as possible. Ideally, if you have many years of experiences and academic accolades, you can craft to a maximum of three (3) pages. We will discuss later what to include in the resume. Even a one page resume is fine as long as you’re certain that it includes every detail depending on your experience. 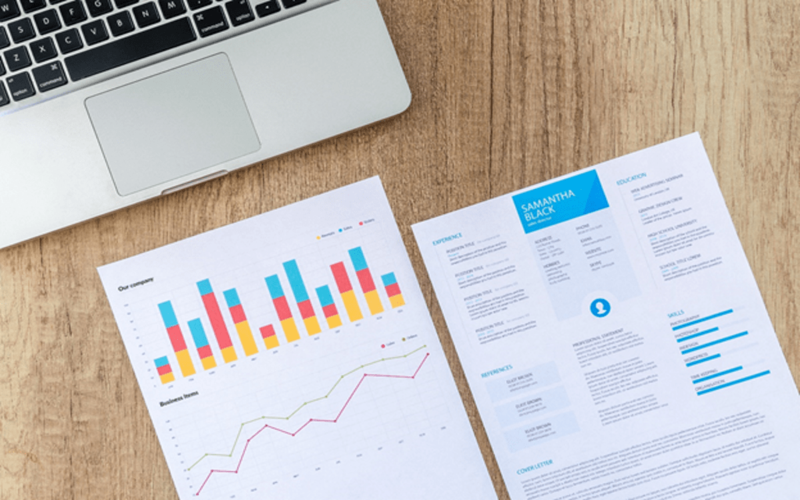 As you plan your content, you must bear in mind that the hiring managers are busy, so they may be reluctant to spend more time reading a 5-page resume. If you have been exposed to content writing, you would understand how Google rank content using relevant keywords. Likewise, your resume (CV) should have relevant keywords in it. Recruiters stay abreast with the advances of technologies by using software to scan potential applicants. The software is used to scan a certain range of keywords. These could be keywords such as chemical engineer, professional auditor, software engineer, actuarial science, and many more. However, avoid a keyword stuff that can compromise the natural flow of your content. Stay relevant while including the keywords in a natural manner. 4) What to include in the resume (CV)? You may follow this order when crafting your winning resume. But, for every job you have to re-order your CV to reflect the requirements of that particular position. As a result, these recommended points could vary. When formatting your resume, avoid this fancy borders and colors. It should reflect your professionalism. At the same time, it needs to be attractive by being tidier. Beware of the font type you use. The preferred font is Verdana, Calibri, Arial, and Century gothic. The font size can be 10 or 11 for the general content and 12 or 14 for subtitles. 6) What to exclude in a resume? Leave out images and tables in your resume. They do not only increase the number of pages needlessly but also make it hard for software to scan through. Organize the resume in clear paragraphs. Furthermore, avoid including your private information such as your identity numbers, gender, physical address and any other sensitive information. It is only in exceptional circumstances if a specific job requires that you may include private information. For example, if the job specifies the exact age, you may then include your date of birth. Nothing breaks integrity in a resume than a poorly written content with lots of errors. Take your time to edit and proofread your CV. Remove superfluous information. Take a dictionary to verify certain words to avoid spelling errors. You may also ask your friend or co-worker to help you edit and fix errors. A professional can even be more helpful to help you tailor the resume and get that lucrative job. Creating a resume is a hard work and thus needs more time. With these important aspects we are confident that you will excel in your endeavors. To make your dreams come true, you may seek professional resume help rather than making huge mistakes in this important document. It is in fact not only important but also vital.